For indoor gardeners everywhere, Darryl Cheng offers a new way to grow healthy house plants. He teaches the art of understanding a plant’s needs and giving it a home with the right balance of light, water, and nutrients. After reading Cheng, the indoor gardener will be far less the passive follower of rules for the care of each species and much more the confident, active grower, relying on observation and insight. And in the process, the plant owner becomes a plant lover, bonded to these beautiful living things by a simple love and appreciation of nature. 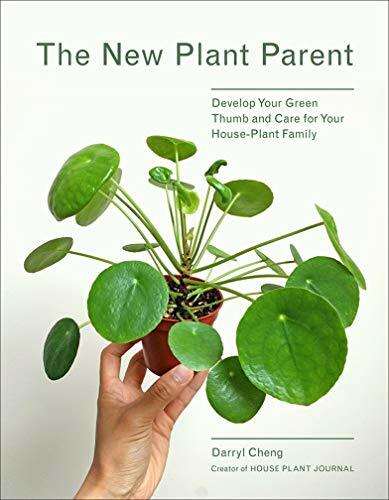 The New Plant Parent covers all of the basics of growing house plants, from finding the right light, to everyday care like watering and fertilizing, to containers, to recommended species. Cheng’s friendly tone, personal stories, and accessible photographs fill his book with the same generous spirit that has made @houseplantjournal, his Instagram account, a popular source of advice and inspiration for thousands of indoor gardeners.